I hope you are all feeling as refreshed as I am this new year. I feel like this year is going to be hella hectic yet memorable. It's going to be the year of changes and challenges. The year that will change the future! – or at least that's what we always say to ourselves when a new year rolls around. 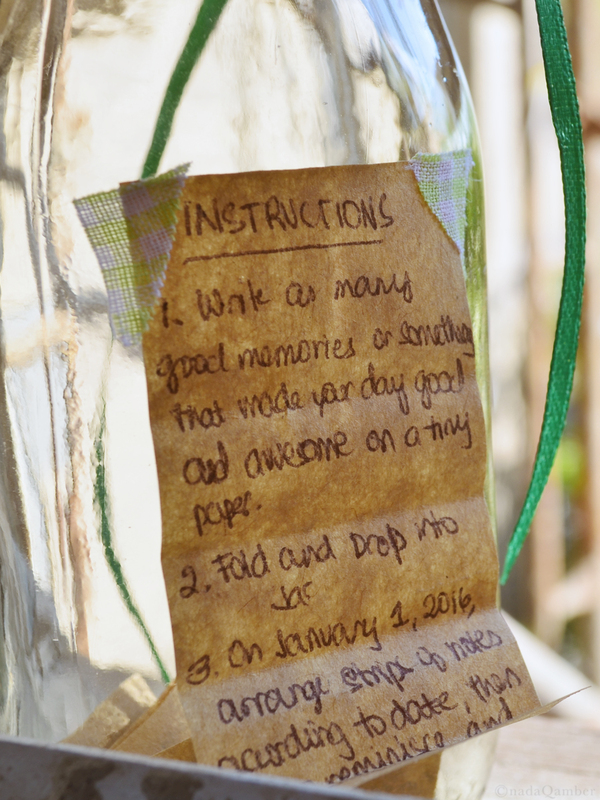 Since I want to make this year a little different than the past, I decided to start a Memory Jar. Apparently these things have been going on since 2012 or 2013? or maybe even earlier. Why did I only find out about this now? Who knows. All I know is that the idea came at the right time. 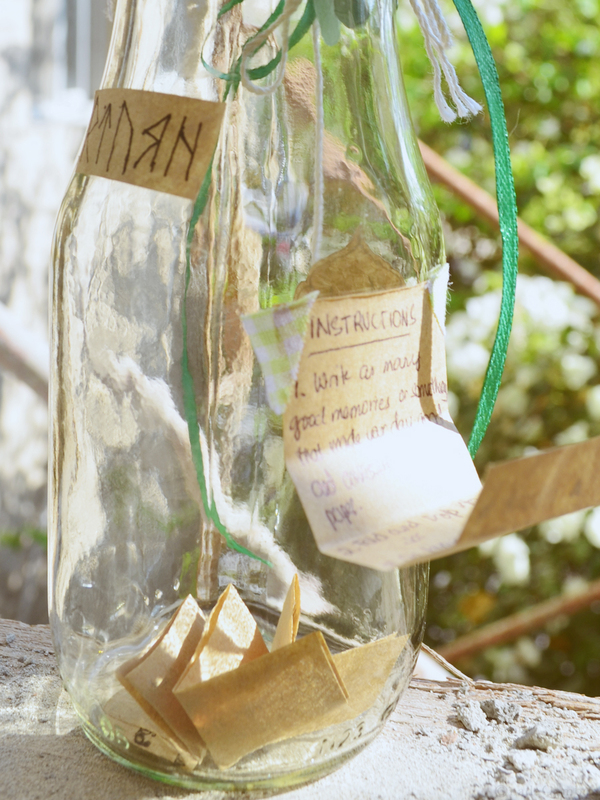 While stress, indecisiveness, regrets and doubts float about around me, this memory jar seemed to put all that negativity in it's right place. 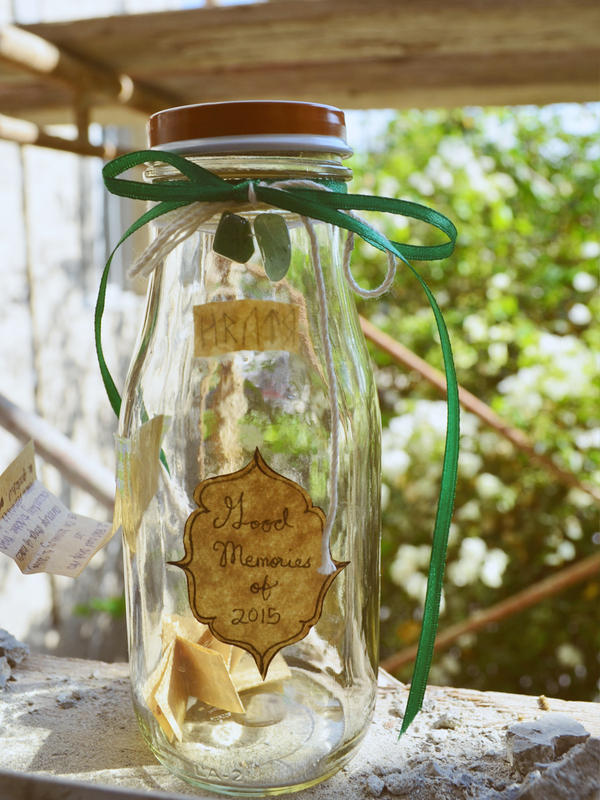 A Memory Jar is pretty self explanatory. 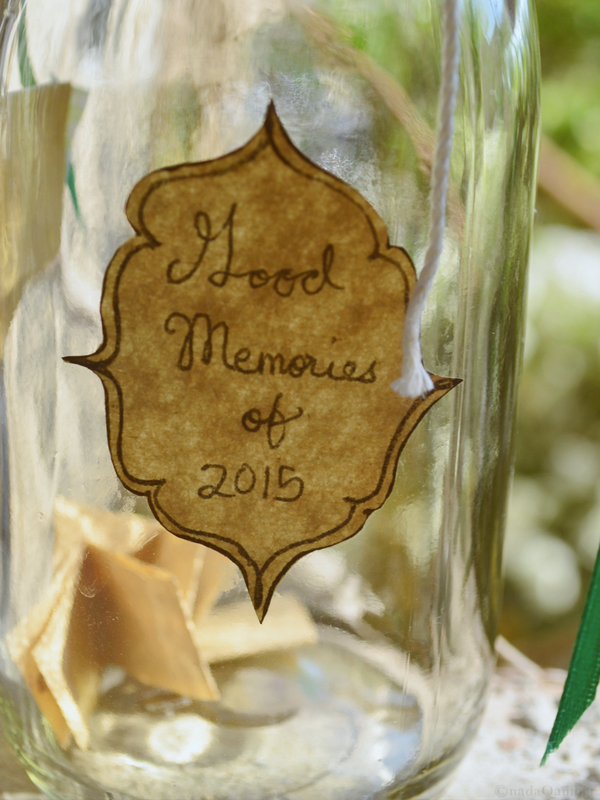 It's a jar filled with all your great memories of the year. Everyday, you can write one or more awesome memory you had that day, and at the end of the year, or the beginning of the next year, you lay out all your memories and read them. By doing this you will not only learn to appreciate the year you thought sucked but also the remember and reminisce on the good times you had during that year. I spent a good 30 minutes trying to figure out what to use as a makeshift jar since Bahrain doesn't sell mason jars like they do everywhere else. Then I found this bottled starbucks frappuccino that I had lying around and thought "hmm...this will do". I genuinely like it. 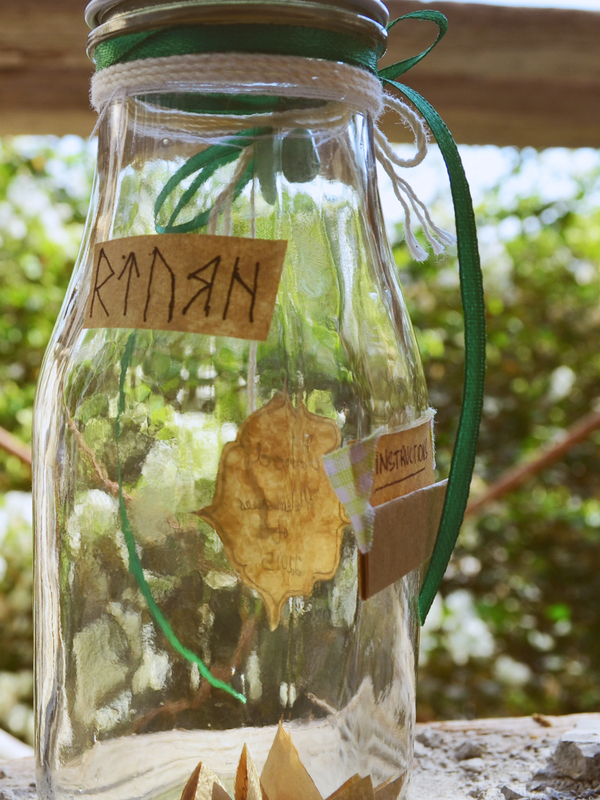 I added a little bit of my own jam into the mix by writing "Brave" in Khuzdul alphabets – Khuzdul is the fictional alphabet/language of the dwarves in Lord of the Rings created by J.R.R Tolkien. It fits with the earthy-toned theme doesn't it? I also added a little paper of instructions incase I forget what to do because we all forget things sometimes. One can never be too careful. 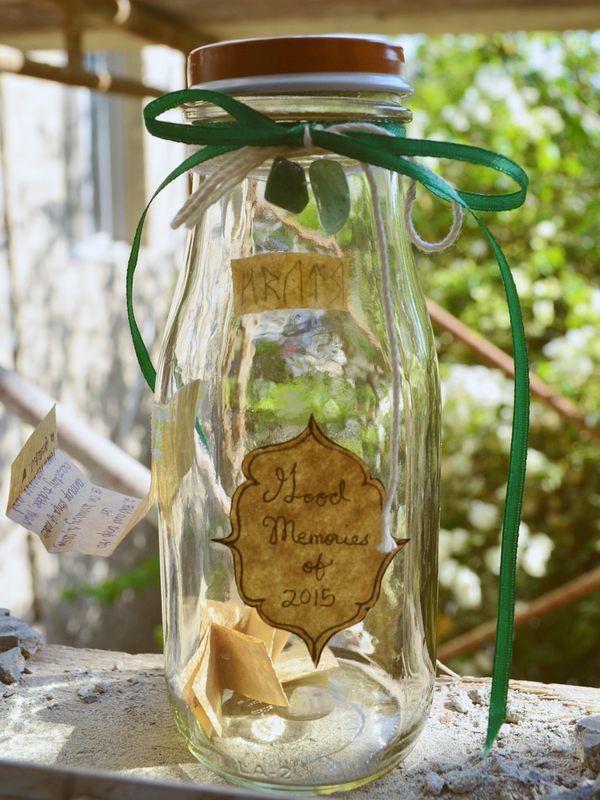 Will you take part and make your own memory jar? It's fun, crafty, and gives us a way to remember the good times we had and wish for more just like it. It's still not too late to start since I started this only yesterday. How was everyones New Years? Not too hung over I hope.